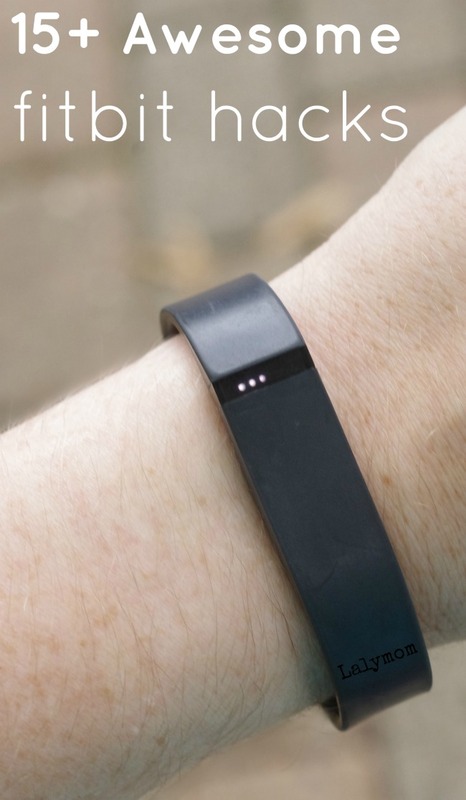 Are you part of the Fitbit craze? Whether your wearable is Fitbit brand or another brand, I hope you find these Fitbit Hacks to be helpful! I've added some affiliate links in this post, just FYI. Please note that these Fitbit Hacks are not endorsed or provided by Fitbit, they are just ideas to help use and take care of your fitness tracker, gathered by me! 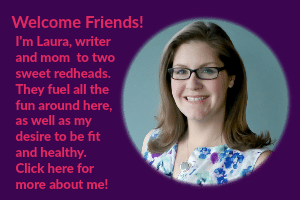 Welcome, Fitbit Friends! I'm soooo glad you're here! You're looking for Fitbit hacks, right?! Well the list has grown to 24! A lot of people are just DOING IT WRONG! The whole Fitbit thing. Wrong. I want to make sure you aren’t one of them! You landed here on my site and I’m bound and determined to help you succeed with your Fitbit. As part of my ongoing desire to maintain a healthy weight I jumped into using my Fitbit Flex. I'd had it for about a year when I was invited to my first Workweek Hustle Challenge. That is when I finally started using it consistently. Even then, though, I was hitting my step goal but NOT my weight loss goal. I was totally doing it WRONG! Don't be like me! Let's fix this before it starts! Step One: Are you brand new to Fitbit? If so, you totally need Fitbit 101 to get you started. Go read it now, I'll wait! Back already!? Okay cool! Did you know all that stuff about your Fitbit?! We are not done yet, friends! Step Two: Make sure you are NOT making the Number One Fitbit Weight Loss Mistake. You could have all the hacks and tips in the world, but if you're making this mistake they will do you NO good! Okay so what is the verdict? Were you one of the thousands of people making that mistake?! Step Three: Get access to the Step Tracker Resource Library by signing up for my Fitbit Tidbits newsletter. It includes access to my free Fitbit printables to help you avoid that big old, honking mistake up there! Okay, I think you're ready for those Fitbit hacks, my Fitbit Friends!!! Below you will find some awesome Fitbit Hacks, covering everything from little known features, ways to pair with other people and apps, to the basic task of cleaning your Fitbit! You'd better let me know if I'm missing anything when you're done! Deal?! Deal. Let's GO! 1. 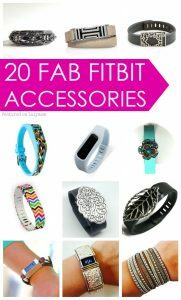 DIY Accessories – I recently shared a list of 20 FAB Fitbit Accessories (and I found SO many awesome styles that I created a second post with 20 MORE Fitbit Styles) but if you are the DIY type, there are some cool ideas out there to glam it up! Make an awesome leather cuff or use a bangle! If you're a Fitbit Blaze fan, be sure to check out these 20 Must Have Blaze Accessories. 2. Save That Fitbit! If you find yourself accidentally popping off your Fitbit band, here are a couple fixes for you! Keep the end in place with a BitBelt (they also make Bitbelts for Disney Magic Bands, mental note! ), hair tie or clasp. Personally *I* use the Bitbelt, they are affordable and easy to use. 3. Bzzz Get Up! If you have a desk job, watch a lot of TV, need help remembering a daily task or are simply starting out with your Fitbit, you can use the alarms function on your Fitbit throughout your day to help with your goals. Your tracker will vibrate any time you have an alarm set. If you know you will be at your desk from 9am to noon, try setting a few reminders during that time and stroll around the office each time. Set a couple to remind yourself to drink water, remind you to get more steps in, take your pills, pick up your daughter from preschool- ahem- or anything you need to remember! To set an alarm, open up your dashboard on your Fitbit app, tap the picture of your Fitbit (mine says Flex because that is the kind I have). On the next screen you will see you can select alarms and customize them to remind you to do anything, any time you need it. Note that setting alerts will drain the battery slightly faster because you are requiring the tracker to vibrate more but I think it is worth it! 4. Use IFTTT “If This, Then That” is the phrase to remember with this INSANELY useful app that, by itself, has nothing to to with Fitbit. You can hook up all kinds of other programs and apps to set “recipes” for just about anything, so now Fitbit is on there too. For example you can set up a recipe that says “If” you don't hit your step count by 3pm “THEN” send me a motivational text message. Yes really! The recipe is right here! You can check out the Fitbit Recipe Page for more ideas and I'm sure you'll want to poke around to see what else you can hook up to it. Hat tip to Gizmodo for the heads up that Fitbit is compatible with IFTTT. 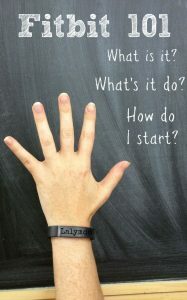 I use it for blogging and I'm excited at the potential of using it for my Fitbit! IFTTT Is just one of the many apps that can be synced with your Fitbit. I'll cover a few more below! 5. The Trick is to USE It! 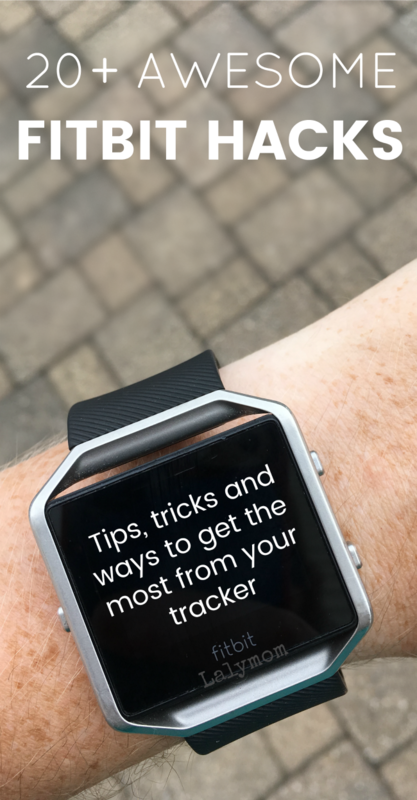 Remembering to wear and use your tracker was one of the challenges I faced as a new Fitbit user. I found these tips for remembering helpful. My own tip for this is to charge your Fitbit is while you shower! If you are like me and wear your Fitbit 24/7 then that is the best way to minimize taking it off! Another tip from a reader is to plug your charger into your car charger and charge it while you drive! I have not tested this and cannot confirm whether or not that kind of charger is appropriate but it would be pretty awesome if it worked! 6. Aw Crud, I Forgot! Okay so we're all charging while we shower now, great. But…there are still those days that you are in a rush and forget to put it on. But, aww MAN, I want those STEPS! You can still use the GPS your smart phone app to track your steps. You can also log activities that are different from running and walking, such as weights or biking. From the app dashboard, select Track exercise. Tap the stop watch in the top right corner and then you can search for basic activities and add the time and intensity. From the desktop dashboard, hover your mouse over the Recent Exercise tile and at the bottom of the tile a gray bar will appear that says “See More.” Click the See More and scroll to the bottom of the screen to log a new activity. 7. Get Paid to Workout! Woot! Yep, check out these 17 Fitbit Rewards Programs and get earning! In fact, don't miss this Rewards Bonus: Get $45 added to your Healthy Wage prize if you register by January 3, 2018! If that's not your thing, these 6 walking apps offer other ways to be rewarded for using your Fitbit. They allow you to put your money where your steps are, challenge friends and family, earn money, donate to charity and even earn Walgreens points! 8. And Just Like That….It Was Gone! Those fitness trackers are pretty tiny and it is kinda easy to lose track of them. Luckily all hope is not lost! Here are a few apps to try to locate your tracker. A friend recently suggested setting an alarm for one minute from now, then when it buzzes you should be able to hear it. You may have to set it a few times and stand in a few different rooms to hear it, but worth a shot! 9. Mesh with Other Health Apps. If you are an Apple products user interested in a healthy lifestyle, chances are you might use app like Health on your phone that don't already sync with your Fitbit. Don't fret, you can use this app to sync your Fitbit with other Apple Apps like Apple Health. 10. But My BFF Has a Different Tracker! Bah! What were they thinking getting a fitness tracker other than the brand you chose?!! Well, to each, their own I guess! The great news is that even if your BFF has a Garmin Tracker and your hubby, like LalyDad, went with a Jawbone, you can still compete with people with other fitness trackers! Check out Stridekick and get linked! 11. Keep Charge! Get the most out of your battery by disabling all-day sync. Wearable shows you how at the bottom of this super helpful post on How to Get the Most from your Fitbit Flex. 12. More Battery Tips. Aside from all day sync there are lots of ways to drain your battery quickly. Like I mentioned above when you add extra alarms it requires the trackers to vibrate more which will take up some battery. Learn more ways to maximize your battery. 13. Better Switch to Sleep Mo-zzzzzzz If you are like me and you often fall asleep as your head hits the pillow, you probably wake up often and realize that you forgot to switch to sleep mode. Oopsies poopsies! If you don't want to mess up the weekly and monthly averages though, you will want to make sure you add it manually. You can see how to add sleep manually- and how to adjust the sensitivity of the sleep tracker- on Fitbit's own Sleep Tracking FAQ page. UPDATE: For us Flex users, the need to tap to reach sleep mode is no more! The latest software update gave your tracker the ability to automatically detect your sleep. You'll see your sleep pop up the first time you sync to your app each day. But you should still check it out to keep tabs on the accuracy in case you need to adjust the sensitivity. 14. Eww Funky! So naturally your Fitbit band and Fitbit tracker will both get a little funky over time. See how to clean the contacts on your Fitbit tracker and the best way to clean your band (spoiler alert: It ain't soap!). 15. For when it's REALLY Lost. Use a return address label to add your email address and wrap it around the tracker body. This way if you lose it outside of your house a good Samaritan can contact you to return it! 16. Get Social! If you are the only person you know with a Fitbit, there are a few easy ways to find fitbit friends. First go to your Fitbit app and tap on friends. It will suggest people based on your contacts. If you don't see anyone there to connect with, check the fitbit addicts Facebook community and other Facebook walking & Fitbit groups. You can also search meetup.com for local walking groups, or login to fitbit.com on your computer and head to the community there. Once you have made some friends, head to your app dashboard. When you tap Friends you will see a list of your friends and can Cheer them, Taunt them or Send them a Message. For more direct competition, you can select Challenges from the app dashboard and invite friends to compete with you. This is my favorite feature. If you are really competitive I suggest the Weekwork Hustle and Weekend Warrior. For those who prefer that everyone is a winner you can select Goal Day. While it still ranks you in order, the idea is to encourage everyone to reach his or her goal, rather than compete for first place. 17. Make it a Game! Wokomon is for those of you out there motivated by video games. Your steps convert right into this little game and make it super fun to get your step on! Fitbit Hacks can be fun too! 18.Tech it Up a Notch! I shared this post on Facebook and asked if there were any tips people would add. A fan told me that they had recently invested in Fitbit's Aria Smart Scale which works seamlessly with their Fitbits to track all sorts of stats. I happen to know this fan in real life and I love that they are committed to their health as a whole family! What was a cool way to tech it up together! 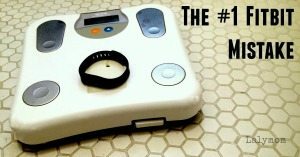 Check out the Aria Smart Scale's cool features in the Video. 19. Track Your Food. There are lots of apps out there to help you track your food, but did you know you don't even need a separate app? You can track your food intake right inside your Fitbit app! From your dashboard, scroll down and tap the Calories Eaten section to reveal the Food page. At the top right hit the + symbol to add food. If you have a goal weight entered in your profile it can help you find a goal for calories. Nice! 20. Waterproof Your Fitbit. Sorry to break it to you, friend but your Fitbit is NOT waterproof. If you've been successfully swimming or showering with your fitbit, congrats on making it this far but you're doing it wrong. There's no quick fix but here are some ways you can make your fitbit waterproof…. 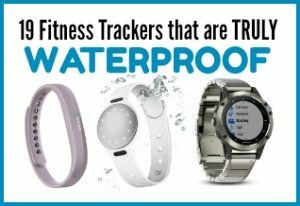 or you can buy one of these 19 trackers that actually are waterproof. 21. Hack Your Step Count. If you are finding it hard to reach your step goal get this free Printable Fitbit worksheet to help you get there and check out these Tips for Hitting Your Step Goal. 22. Charge Without Your Computer. I have not tried this one, but a reader previously told me: “I charge my Flex without a computer! When I traveled last summer, I plugged the Fitbit Charge USB cord into the square converter that comes with the iPhone and iPad. I plug that into a socket to charge my Fitbit overnight. I noticed that my Fitbit doesn't charge when I computer sleeps so I am finding this a better method. I assume it also works for the Charge.” UPDATE: I still have not tried this but several readers wrote to tell me the Fitbit chargers are not meant to be used in wall outlets and REQUIRE the slow charge provided by the USB port on your computer. Please refer to the manual for your model for specifics. 23. Fitbit Football Squares – The latest in the series of Fitbit Hacks – how to hit your step goal while watching the big game. Get this free printable Fitbit Football Squares Game for the next time you get together to watch the big game. It comes with a list of rules like, “take a lap around the table for every chip you eat” but you can also make up your own rules. 24. Combat Uncounted Steps – If you notice your fitbit isn't counting steps when your arm is pushing a stroller, grocery cart or similar, check out these 7 Hacks for Uncounted Fitbit Steps. 25. Syncing with Other Apps – Already using Weight Watchers, Strava, Spark or other healthy apps? There are over 30 apps that can sync with your Fitbit app. Take it one step farther on Fitbit Ionic which allows you to add select third party apps directly to your fitbit! Get the weather, starbucks, Pandora and more! 26. Set it up it for weight loss. If you are using your fitbit for weight loss, just getting your steps each day isn't enough. Use this Step By Step Guide for Fitbit Weight Loss to make sure your fitbit is working in your favor. 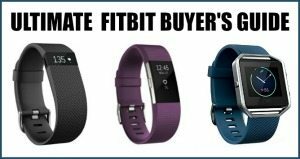 Hey Fitbit Friends- Don't miss the Ultimate Fitbit Buyer's Guide for historical low prices and where to find the best deals. Pin it!Share it! 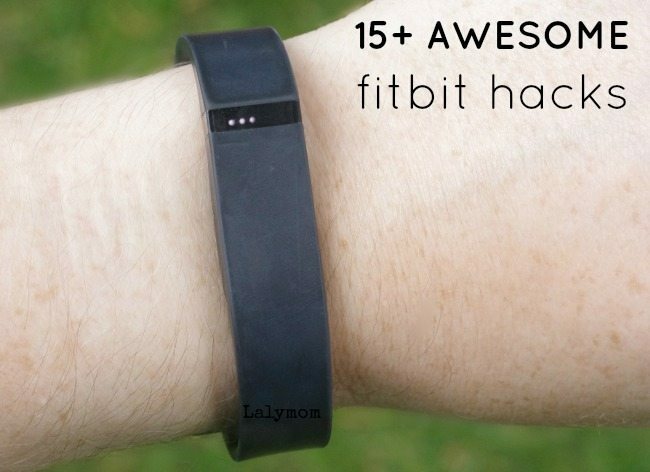 If you liked these Fitbit Hacks please share it! 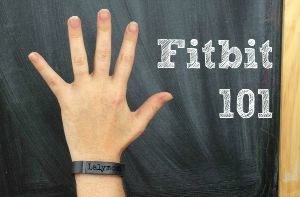 I'd love to hear it if you have a cool Fitbit Tip or trick to add, just comment at the bottom of the post or come share it here. I have a Fitbit One and a Flex. I noticed the battery drains faster on the Flex. I need to look at the Dashboard and use your tips. I also need to set up the alarms. can you use a Fitbit if you cannot sync it to a computer or cell phone. My son is on a mission and wants one. Would he be able to use it? Hi Tammy, The fitbit would probably not be the best choice for him while on his mission. It needs to be charged using the computer in addition to syncing the information. He would probably want to consider more of a pedometer watch. I can suggest a couple to look at on amazon but please note I have never tried these out. I’d read the reviews to be sure it sounds like what he wants. Or maybe visit a local sports store and ask a staff person for recommendations if you want to buy it in person. When I searched for pedometer watch on amazon, there were a lot with bad ratings. I don’t see many that track your step count AND track your sleep except those that connect to the computer but I didn’t do an exhaustive search. Here are a couple I found that track your step count and some other data (not including sleep, in case that is important to him) that, from what I can tell are self contained and do not require a computer or cell phone. It stores hourly data for 7 days and daily totals for a month between syncs so depending on the length of his mission he may be able to synchronize some? It can charge using any use adapter outlet and with a charge or hr he can see info on the bracelets and just not care about historical data, and just challenge himself for day to day goals. When you are setting it up, instead of putting in your name, use your phone number … It’s not like you need to be reminded of your name and your phone number will let someone return it to you if they find it. Just wanted to let you know that for the Charge HR you can charge it using an outlet. I’ve never used the computer to charge mine, only the outlet and it charges in an hour. Way simpler and easier in my opinion. Be careful with that. Over time it will short out your fitbit. It happened to my stepmoms flex after only a few months. They are not meant to go in a regular wall outlet because the wattage is too high, that’s why they say charge it with the computer (or if your car has a usb port). I have the flex and it know automatically tracks your sleep. Just update your app! Oh wow! I did not know that, thank you so much, I’ll go check it out! I like to charge my fitbit while I’m driving. I leave the charger plugged into my cars USB port and everyday on my commute I plug it in. Genius! Love it, thank you so much for sharing! As for not “popping off your fitbit”…Buy a package of small “o” rings at the hardware store. Super cheep. A couple of bucks (if that) for a pkg of 10. They are silicon and roll right onto the fitbit band. I was told when purchasing my fitbit that it should not be charged by plugging it directly into an outlet. The best way is through your computer system. Plugging it into an outlet can cause damage to your battery. I always have worn my fitbit flex while showering and swimming — with NO problem. I also believe the site says it IS waterproof. choose in your area…so when I walk my dog, it tracks that and my exercise aswell and helps support local shelters! I have the charge hr and I just accidentally learned that pressing and holding the button on the left starts a stopwatch on the screen. Press and hold to stop. Funny how you say they aren’t waterproof. I have a flex and I don’t wear it in the band because with my job I don’t get accurate readings so I wear it in my pocket. I have accidentally left it in my pocket and washed it at least twice. It still performs perfectly. I’m not saying do this but should it get in some water just dry it and go. I charge my Fitbit Charge HR via a small USB hub attached to my computer, is also running on AC power. This allows my device to charge even if the PC goes to sleep. I have had no problems with this charging method. I also use IFTTT to track my steps over time, but I have yet to determine what some of the stats equate to, because they do not correspond to the numbers on my device. Awesome fitbit hacks. The IFTT tips is a very smart one. Thanks for sharing. I guess not all wall chargers are the same, but most are 5 volts. Your computer USB puts out 5 volts. 5 volts is 5 volts no matter what way you look at it. Soon computers will be able to put out much more than 5 volts. Just like your wall charger may possibly put out more than 5 volts. I didnt refer to my user guide before typing this but have ONLY used a 5 volt wall charger since I got a fitbit over a year ago. No issues. But like ALL lithium ion devices you should never charge them overnight or leave unattended, no matter what it is plugged into. Ooh I love these designs. But my fitbit band is 2 yrs old and not that fashionable.Anyway it’s giving me great service and congrats Laura for this great post. Great article. Regarding charging … yes, it shouldn’t be used in a wall outlet; however, if you’re travelling and need to charge, try the TV in the room. Typically, they have USB ports you could use for devices that need charging when you’re out of ports.